The company began in 2003 and has established itself as a forerunner in event and project management, logistics, consulting and marketing in Kwa-Zulu Natal, South Africa and abroad. 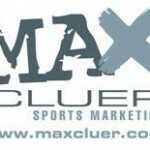 Max Cluer Sports Marketing is an Event Management and Sports Marketing consultancy specialising in event and athlete sponsorship portfolio’s, branding and brand storage and activation, product launches, event commentating and in adding value both above and below the line to its clients and sponsors. The highly competent team of MCSMcc is known for its personal touch, attention to detail and professional delivery on their clients brief and expectations on projects. With over 10 years of hands on experience in event marketing and management, Max Cluer Branding & Logistics(MCBL) offers our clients a seamless branding and logistics solution customised to suit their needs. With our hands on experience in looking after various brands and their diverse eventing needs, MCBL are able to advise and assist you and your team in making the right decisions to MAXimise your brand. By having close relationships with our core suppliers that deliver on time, every time and at the right price we simplify the process of sourcing and producing quality branding. These close relationships allow us to maintain your branding with original parts ensuring that your branding solution is always complete and in mint condition for your next event activation. With our expert maintenance and field staff, warehousing facilities and systems, we pride ourselves in making branding and brand activation at events an effortless part of your business. This solution is designed not only to MAXimise your brand and brand exposure but also to look after your investment and the lifespan of your branding. Team Jeep SA is owned and managed by Max Cluer and Clint Morck; two highly driven individuals who have developed the team since it’s inception in 2002. Team Jeep South Africa is a tight knit squad of highly talented multisport and endurance athletes who excel in their sporting codes of choice. Having been an elite athlete and competed on the world stage, Max understands the unique dynamic that exists between media, events and athletes. His years in adventure racing gave him the grounding to understand both the sponsors and the athletes’ needs. With a unique flair for building lasting relationships, Max is responsible for securing sponsors and suppliers who support the team.Highly regarded as one of the top “gear heads” in South Africa, Max has an intimate knowledge of all the latest technical and functional sporting equipment and gear available. He applies and updates his knowledge through working closely with sponsors, suppliers and manufacturers in the research and development of their products. Max is also one of the driving forces behind multisport in South Africa. The creator, the designer…Clint has a special care for every member of the team; they are his family and his inspiration. He is a passionate connector whose main desire is to give opportunities to emerging talent in cinderalla sports. His years in triathlon, canoeing and multisport have given him a thorough understanding of every aspect of these sports. While his demanding career in the field of civil engineering consumes his day time hours, he willingly spends precious after hours dealing with the affairs of the team to ensure the demands of his athletes are met. Aside from working with the athletes in Team Jeep SA, Max is in a unique position to assist athlete’sin connecting them with the right sponsors and personalities to allow them to build their own identity in the competitive world of endurance racing. 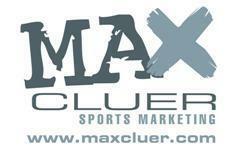 Max has established himself as one of the leading multisport, mountain biking and BMX commentator’s in South Africa. Max’s ability to think on his feet and work in the dynamic “live” environment of live broadcasts, commentating and webcasting allows for the smooth flow and dynamic energy which is brought across through the events that he works on. Event participants revel in the energy and personal touch that Max bring’s to the finish line; his ability to welcome the last athlete home with as much enthusiasm as the winners is what sets him apart as a commentator who knows not only the athletes, but also the sport with a unique depth of knowledge. Max’s positive working relationship with and understanding of media, sponsors, clients and various sporting personalities has led to him regularly doing both live and studio commentating for the likes of Supersport, SABC and DHL Africa. In addition, Max’s strong social media background and commentating skills have taken him abroad to work on various projects both as consultant, commentator and as a media personality. He also has strong Web and Podcasting skills and understanding. These skills have also lead to him featuring on High Profile Events such as Red Bull X-Fighters and moving deeper into the production side on the World BMX and Supercross series.